Although it is not a new service, many are talking about Tumblr- predicting that it could be the newest thing in the world of news media. This “short-form blogging platform” founded in 2007 by David Karp and lead developer, Marco Arment, is a mix between Facebook and Twitter. Many are saying that it could be a useful engagement tool for news outlets to connect with their readers, citing the success of Newsweek’s Tumblr account as an example of this. Recently, Tumblr welcomed Mark Coatney, to join the Tumblr team from his post at Newsweek. While at Newsweek, he had taken on the management of the magazine’s Facebook, Twitter and Tumblr accounts. 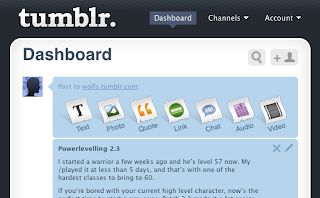 The Tumblr became wildly successful and reportedly drove about 500 readers to Newsweek.com everyday. Ultimately, Coatney’s work with the page helped land him a job with Tumblr itself. 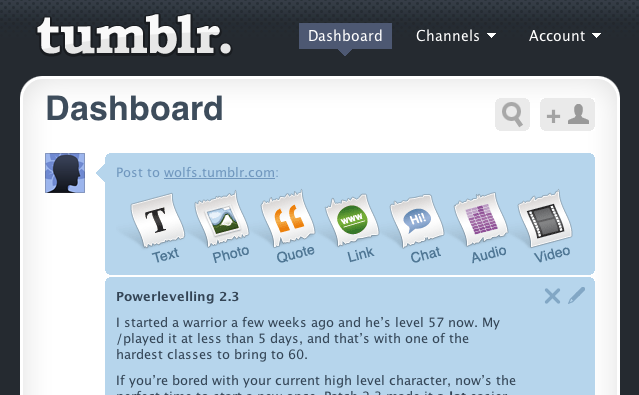 Despite its lower user base, Tumblr focuses more on quality content and less on number of followers. Some outlets such as The Atlantic, Rolling Stone, BlackBook Media Corporation, The Paris Review, The Huffington Post, Life magazine and The New York Times have all jumped on the Tumblr bandwagon but many have yet to successfully utilize the platform. It’s low-stress: This may be key for engaging in what seems like yet another social media tool. As always, it is essential to continue with the platform once you and your company decide to join. But, fear not, because looking at the Newsweek Tumblr you can notice that some ‘posts’ are simply quotes from articles in the magazine; others are pictures or quirky commentary. It’s engaging: Readers can submit their own quotes. This may take off some of the workload of the staff to keep up with updating and posting. The age of citizen journalism is upon us and now people can submit Tweets, video or photos from cell phones into TV news programs instantaneously. The proper use of Tumblr is the perfect way to engage readers of the magazine itself as well as reaching out to new readers online through social media and directing them to the website for more information. It's viral: The format of Tumblr lends itself to short quotes, sound bites and bits of information. This is the key in today’s information overload environment. There is a reblogging feature much like a retweet button which shares information across other users’ Tumblr pages. Keep your eye on how others are using Tumblr or consider starting a page yourself. I think this is an up and coming tool that may not only be useful for print media outlets but for many organizations and businesses alike. Happy Tumbling!